Being avid fans of MADKIDs Home Studio’s work for a number of years we are uber happy to confirm the worst kept secret, HA when we let leak HERE last year. Finally we can take a Muffinn out on adventures without having the nightmare of breaking it. Muffinn is ready to present to you all a Soft Vinyl Edition! Looks pretty on point compared to the resin counterparts! Now with the vinyl release confirmed, this should make it a little easier to own a Muffinn in the near future. 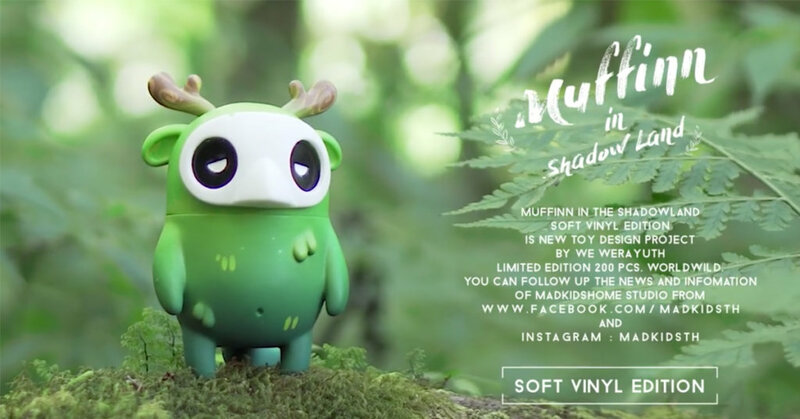 Stay tuned for when Muffinn in the Shadowland Soft Vinyl Edition By MADKIDs Home Studio will be release and how to own one. Awesome! Love these little dudes!